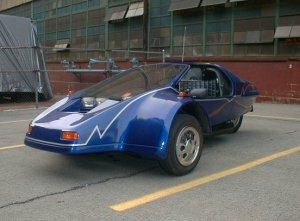 The Fire Aero was introduced in 1984 at Laguna Beach, California (USA) by the Industrial Design Research company. Designed by its owner Dave Stollery, two variations of the Fire Aero were sold in a kit form. The first type was a Fire Aero kit to be powered by air cooled motorcycles (mostly 750cc four-cylinder Hondas). It is estimated that 53 of these kits were sold. Due to cooling problems however a second type of Fire Aero was then designed for water cooled bikes (mostly the Honda Goldwing) This new version also had a larger cockpit along with a few other style changes. Approximately 50 of these kits were sold. 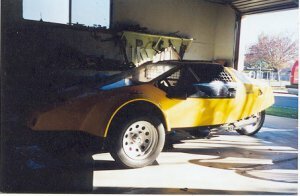 In 1988 the company was sold and it then belonged to California Alternative Vehicles (CAV) who sold Fire Aeros complete and ready to drive away. Both types of Fire Aeros are 2-seater vehicles with a fibreglass body. Dave Stollery now has the company back from CAV but there no plans to produce any more vehicles.